Amanda Nunes has made history as she has defeated Cris Cyborg in order to become a two-division champion. She is now the new UFC women’s featherweight champion and UFC women’s bantamweight champion. This also marked the first loss of Cyborg’s career. The two fighters met in a women’s featherweight title bout at the UFC 232 pay-per-view event from the Forum in Inglewood, California. They came right out of the gate and throwing bombs. 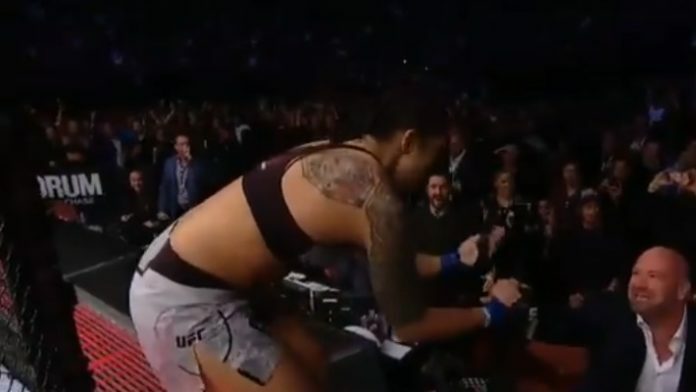 Nunes stunned her several times before flattening her with an overhand right to win the fight.